Everything in english, polish and spanish versions. or for 19 PLN for the DVD with free delivery on Polish territory. We’re back after a long break! We have been invited to Muzeum Podróżników im. Tony’ ego Halika in Toruń , to participate in the exhibition Ernest Malinowski – Constructor of the Railway in the Peruvian Andes. The exhibition is organized on the occasion of the 100th anniversary of Poland regaining its independence. The opening of the exhibition will take place on September 28, 2018, at 4:00 pm, and you will be able to see photos from our trip. We also invite you to October 13, 2018 at 17.00 for a lecture and presentation of our film to the Muzeum Podróżników im. Tony’ego Halika. Year 2018 marks the 200th anniversary of the birth of Ernest Malinowski, and on this occasion the Association of Engineers and Technicians of Communication of the Republic of Poland announced this year – a year of outstanding engineer (we will just remind you that Ernest Malinowski was born on January 5, 1818 in Seweryn in Wołyń). On June 15, 2018 took place ceremonial passage of the PKP Intercity train TLK Malinowski . The train TLK Malinowski usually runs on the route Warsaw – Przemyśl, the ceremonial ride took place on the route Warsaw – Kraków. We also added our pebble to the garden of this ceremony – our pictures were on the exhibition and in the invitation (which we present below). Our presentation will be part of the festival called Dolnośląski Festiwal Podróżników – 17 Południk (18-20 X 2013, Pasterka , Stołowe Mountains, Poland). For more information about the festival and it’s programme – click here. 27 IX 2013 there was a Transandino presentation in Głogów. Kasper Piasecki was invited by the “Szansa” (“Chance”) Association for Children and Young People to present the project to the audience at their headquarters. The event was a part of the Głogów Youth Days. 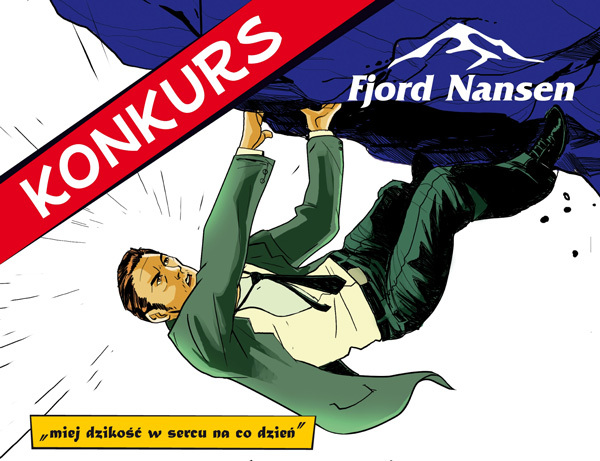 We invite you to participate in the contest organized by Fjord Nansen. More information (in polish) at their website, www.fjordnansen.pl. Our film competes in the VI “DRZWI” Film Festival in Gliwice, Silesia, Poland (23 – 27 IV 2013). It was qualified for the experimental film category. DRZWI is a international film festival presenting independent, student and amateur films. It’s organized by the „WROTA” Film Club from Gliwice. Another presentation of our project is scheduled for 31 JAN 2013, in the Cyganeria Cafe in Gdynia, Poland. The event is a part of the series of meetings called “Stacja Emigracja” (lit. Emigration Station), organized by the Emigration Museum in Gdynia. Our film will compete in the MEDIATRAVEL Civilization and Media Art Festival. The event will take place in Łódź, Poland, between October 23 and 27. Transandino screening is planned for wednesday, October 24, during the film panel between 15.00 and 18.00. Address: Muzeum Kinematografii, pl. Zwycięstwa 1, Łódź, Poland. Full Festival programme is available here. Click here is for the Pärnu Festival programme. Transandino will be screened on Tuesday, July 3, in a block of experimental films at 20:00 at The Museum of New Art (Esplanaadi St. 10), and also on Thursday, July 5, at The Mud Bath Resort (Ranna puiestee 1) at 20:00. The Awards Gala will be held on Saturday (July 7) at 22:30 at The Museum.